Folds to just 2" and weighs less than 8 lb.! With a rated capacity of 150 lb., this Fold-Up Hand Truck is strong enough to handle most chores you'll encounter around the house. Oversized platform holds items of nearly any size or shape. Ideal for transporting luggage when traveling. Made of aluminum and plastic; airless tires will roll smoothly on any surface and never go flat. Measures about 39 1/2”h x 15 1/4”w x 16"d unfolded and ready for use, 25"h x 15 1/4”w x 2"d folded. Just what I needed. Folds so takes up little space in my truck. This item worked great. Perfect size for my personal needs. The construction is extremely sturdy. The way it folds up into nothing is a game changer. You can really put it anywhere. I highly recommend this Home / Fold up Hand Truck to anyone, especially if you live in an apartment with limited space and you need something like this. This was much better than expected. Seems very well built. It should provide many years of use. Folding up it fits easily in my car when travelling. 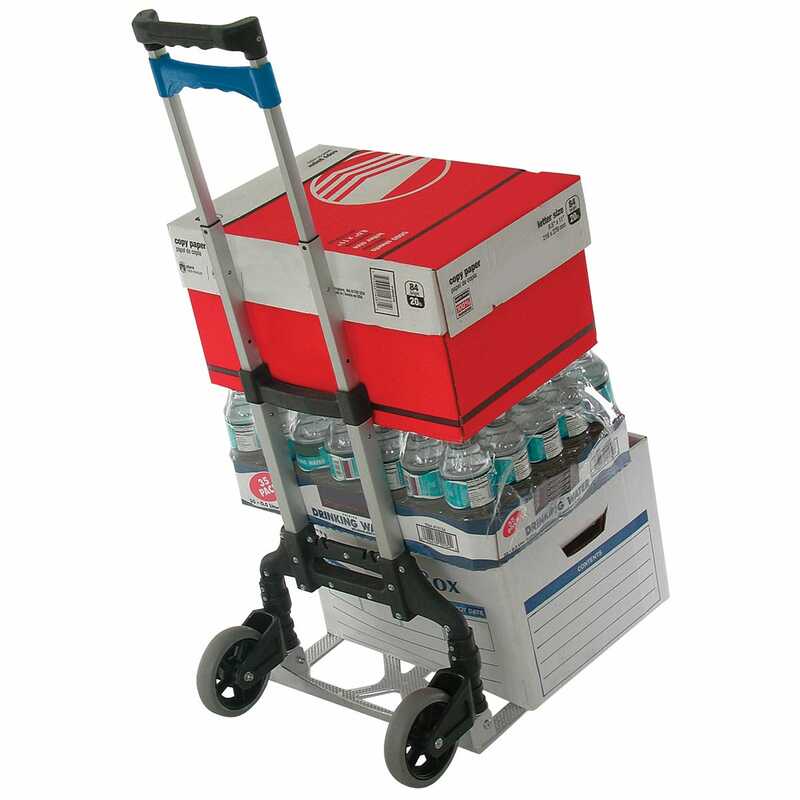 I LOVE this hand truck............should have had it years ago! Folds up so easily, and fits beautifully in the car too! 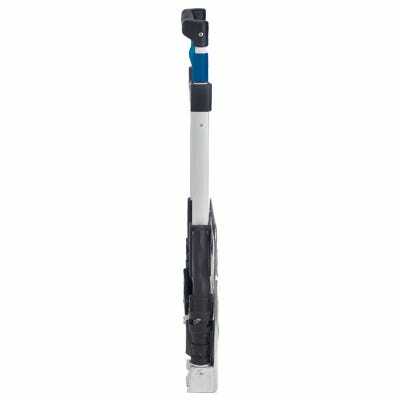 This product is exceptionally light and easy to set up and fold. My only question is about the sliding tube collapsing mechanism. We live in Florida, and sand is a real problem, so we shall see if it gets clogged easily. Love this it is perfect for the job. Light and takes a good load.